“Have you ever had a failed startup?” I asked Mark Wachen, the managing director of DreamIt Ventures’ New York accelerator program. He laughs, “Well, in the mid 1990s, I had what one might call a start-down.” It was between graduating from Harvard Business School, helping to launch the original Sony Music website, running music promotions with Yahoo, leaving Sony and then returning to Sony that Wachen tried to launch his own company. He became distracted by the freneticism of the time, and people around him who said “I don’t like your idea, but hey there’s this other opportunity…” Shortly after, Sony recruited him back to start a corporate venture group, which Wachen cites as a great learning experience for his current role leading fresh young startups into the world. He left Sony for the 2nd time in 2001 and started Optimost, which performed multi-variate testing, assessing copy and layout on a website to maximize conversion. He kept the company lean from the start and made a huge exit selling Optimost to Interwoven in 2007 for $52 million. Wachen, a born and bred New Yorker, then decided to try his hand at becoming an early stage angel investor and founded Upstage Ventures. He first invested in SeetGeek, a secondary ticket market startup, a perfect trifecta of sports, concerts and analytics that immediately attracted Wachen. SeetGeek’s founders had recently graduated from DreamIt Ventures 2009 accelerator program in Philadelphia, PA and spoke very highly of the experience. In a vibe similar to Y Combinator and Tech Stars, the DreamIt founders designed the accelerator to help talented teams with funding, development, mentoring and the opportunity to pitch to angel investors and venture capitalists. DreamIt offers each selected company a “Dollarship” of between $10,000 and $25,000, and $5,000 plus $5,000 for each founding team member (up to four) who will be onsite for the program. In return, DreamIt will receive a 6% passive equity stake in the company. Wachen became intrigued. He met with DreamIt Ventures founders David Bookspan, Steven D. Welch, Michael Levinson and then Kerry Rupp, a Managing Partner. How did you know Mark was the one?” I asked Kerry Rupp. “We wanted someone with successful startup experience and an exit. Someone with a credible name in the New York scene, someone connected to investors in the early stage space,” says Rupp. Wachen met Rupp on a rainy day at the Javitz center at an AdTech event. “I was soaking wet when I first met him,” Rupp recalls. “I impressed her with Sbarro’s pizza from the food court,” Wachen adds. Rupp says DreamIt was already planning an expansion to New York City after noting that 12 of DreamIt’s 36 alumni companies were based there. “Our alumni came to us and said New York needs you. You could provide a lot of value here. But the clincher was that they said, ‘And we’ll help you,'” explains Rupp. They spent the fall looking for office space, officially brought Wachen on board in November, and opened up applications soon after. They received over 500 applications including more than 35 Groupon clones, 25 attempts at fixing the “Reply All” group planning process and multiple submissions from Eastern Europe. For this particular class, DreamIt partnered with Startl, a company that focuses on “identifying talent and advancing products for the future of learning.” 1/3 of the incoming class was picked for its focus on the education space. Traditions throughout the program included a regular speaker scheduled every Tuesday, workshops every Thursday, ultimate frisbee game on Sunday in Central Park and weekly “Fishbowls” when all the teams got together to listen to one company present their issues and elicit feedback. The office was never empty. In fact, Wachen ended up buying a futon for the office because so many people were pulling all nighters and taking naps whenever they could. Every day Wachen would take a picture of who was sleeping on the couch/table/etc. How does DreamIt stack up against other New York City accelerators like TechStars, ERA and Gramercy Labs Collective? “To some extent, the market is big enough to bear all of us,” says Rupp. “We differentiate ourselves in the approach we take to mentorships: we source mentorship after we have the companies to create specific team dynamics. We also ask for an intensive time commitment of 3 to 5 hours a week. We want our mentors to dig in and get under the hood, to challenge the companies to get out of their comfort zone.” DreamIt Mentors come in two forms: One half are seasoned entrepreneurs, while the other half are CEOs of early stage startups– the “young gun advisors”– if you will. “I don’t think so. There are challenges being able to give frank, honest advice in that setting. People always act differently on camera. What’s really important at the end of the day is that we’re giving these companies the best advice and experience possible,” says Rupp. 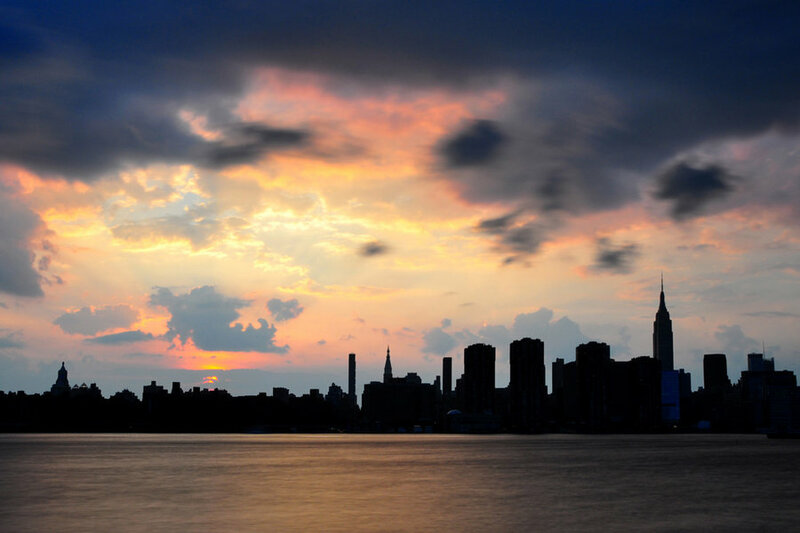 What’s so great about living in New York City right now? “I get asked a lot, ‘Is this a bubble?’ Ha, If you didn’t live through the late 90s, you haven’t seen a bubble. New York didn’t have the infrastructure it has now; the early stage capital, the coworking spaces, and the center of gravity that is now Union Square and the Flatiron…It reminds me of the era when Hendrix and Dylan would hang out in New York,” says Wachen. The 15 DreamIt teams featured below will share an office for one more week. DreamIt Ventures will continue to maintain an advisor relationship with each of the teams. Read on for stories from the teams’ experience with DreamIt and of course Demo Day, when the teams pitched to a room filled with investors, mentors, press and New York’s startup community in midtown’s McGraw Hill Conference Center. Rupp first met the Hoot.me team while in Austin and encouraged them to apply. The Texan startup is working on an interactive knowledge network that transforms Facebook into “study mode” by connecting you with friends for homework and projects. Hoot lets you share your screen inside Facebook with no extra installation, as well as video conference inside of Facebook, so you can work face-to-face with up to to 8 people at once. Hoot.me is an app that shows up on the left hand side of your Facebook page. Once you enter the app, Hoot shows you live study sessions that are happening right now and see the people within your network associated with those sessions. You can also browse through past sessions. CEO Michael Koetting says the team released its brand new product one month ago and has picked up over 1,600 active monthly users since, which is impressive considering schools are not in session yet. To break into the 4.9 billion dollar industry of tutoring and test prep, Koetting plans to release an online tutoring marketplace. Hoot.me currently has campus managers at 5 schools including NYU, Ohio State and McGill. The team is leaving university to pursue Hoot.me full time and is raising $300,000 to drive this customer acquisition. Check out a demo here. LetsGiftIt is a local New York company that operates a social gifting platform; a way for friends, family, and coworkers to contribute towards the purchase of a gift for someone special. It’s complete with an eCommerce Plugin, Custom Facebook Page App Development, and simple integration of full iFrame solution. The web app lets you socialize the buying experience by offering a Group Gifting functionality on your Gift Registry, Wish-List, or Product Pages, as well as generate incremental revenue while maintaining an on-brand, high quality customer experience. CEO Ryan O’Donnell says he launched LetsGiftIt to solve a problem he and his friends personally faced. “People are looking for more cost effective ways to give gifts,” he says, “But organizing a group gift is time consuming and socially awkward.” By socializing the buying experience and lowering the perceived price points for goods, LetsGiftIt plans to change that. LetsGiftIt announced its first retail customer: 1800-Flowers.com. Cognection hails from New Haven, CT and works in online retail optimization. CEO Paul M. Cohen previously studied cognitive science with a focus in consumer decision making at Yale University, and experimental economics at King’s College at Cambridge University. Cohen is currently looking for retailers in the electronics, appliances, computer hardware, furniture and home furnishings, office equipment and supplies, sporting goods, toys and games, health and beauty aids, and clothing accessories spaces with at least 600 transactions per month for its beta program. Cognection is smarter comparison shopping built on algorithms converted from three decades of academic research in behavioral economics. (Say that 3X fast.) While product recommendations are nothing new, most systems have enjoyed very little commercial success. Cognection’s core tech is currently in the filing process for a provisional patent. Cognection announced beta customers: KeyToi, Electronic Express, Wristwatch, LetsBuy (the largest online electronics retailer in India) and a 90 day test trial with Lenovo. The team is raising $500,000 to hire, to expand customer base and drop out of college. “We had a fantastic experience at DreamIt. I think that some of the tangible benefits are obvious like a great work space, but the biggest benefits for us were the people: the mentors, the access to important people, being around 14 other great teams, and of course, the DreamIt partners were fantastic at providing great advice for us. For us, we applied to DreamIt over YC because we wanted to be in New York. And while TechStars has similar benefits, we felt like both TechStars and YC are better for more tech heavy teams, while for us, a solid business team, DreamIt could bring a lot of value. The timing worked out really well with DreamIt too because it was over the summer and so we could stay in school,” says CEO Jess Bloomgarden. Today, the team has launched its minimal viable product and has its first paying subscribers. The women are raising a seed round for product development and customer acquisition. See our full story on AfterSteps here. If your business is not on Facebook, LinkedIn, or Mobile, then you don’t really have a business, do you? AppAddictive is a New York team that has built a social and mobile app geared towards publishing and advertising. It’s a free platform for businesses of all sizes to publish apps without coding. I particularly like the fact that you can use the app to load your Vimeo or Flickr onto your Facebook page in a beautiful way. Currently, over 50 million users are using AppAddictive, generating 30 million ad impressions per month. CEO Mike Onghai has an impressive past. Onghai began his undergraduate studies at UCLA when he was just 16 years old, after moving from the Philippines. Upon graduating, he was the 3rd employee at GeoCities. He later moved to New York City and worked for several years at a hedge fund. When Facebook launched its API in 2007, he started to play with it on the weekend, writing Facebook apps that overtime accrued over 50 million users. In 2010, he asked himself: “What do I really do with this?” He thought of AppAddictive and decided to apply to DreamIt to validate the business model. “I had to leave my cushy hedge fund job, which was hard. But just as Peter Thiel left his hedge fund to start PayPal, I think I have something here. I consider it a once in a lifetime opportunity because this market is going to be very big,” says Onghai. Onghai will monetize AppAddiction with a revenue model of performance based advertising and premium pricing for advanced features. He’s already raised $250,000 out of his target $1 million and is looking for strategic partnerships. We’ll have a full review of AppAddiction coming to you early next week. AppBrick is another startup from up north in Boston, MA. This company allows content producers to launch mobile and web applications without prior programming. Its first applications, BookBrick and StoryBrick, empower authors to publish and manage powerful apps via an intuitive, web-based interface, with no programming skills required. “All other segments of books declined in sales last year, in comparison to eBooks, which grew by 160% in terms of revenue… We’re like eBooks on steroids,” says CEO Vijay Gaur. AppBrick is launching two unique features: Voice Forums and White Board, which will enable the reader to engage in conversation right inside the app without leaving the text. You can share parts of the text out to your social networks. While there’s no shortage of competition in this space, most are either generic, cheap looking templates or high-end, costly solutions. AppBrick sits in the middle with prepackaged, proprietary technology and a SaaS revenue model with in-app purchase share. The company is raising an undisclosed sum. Clothes Horse is fittingly from New York, NY as it’s a data-driven platform that “makes fashion fit,” helping users find brands that fit them best. The app enables customers to shop for clothing across retailers with a single user profile. It’s like “Facebook Connect” for fashion. The team is launching with some seriously big name partners (although we can’t tell you who yet) and is raising its seed round (although we can’t tell you how much yet either). Stay tuned for a full Clothes Horse review next week. 1DocWay, hails from St Louis, MO and will be offering up a video-chat based “Doctor’s office” with back-end automation. When you think about how many people can’t access doctors, not just in rural settings, but also the disabled, 1DocWay makes a lot of sense. Telemedicine technologies such as Cisco’s teleconference systems, have existed for a decade, but current options are expensive and aren’t scalable. With broadband penetration hitting 71% of households in the US, the telemedicine industry is poised for its inevitable disruption according to CEO Samir Malik. 1DocWay has created a new place for care, an online doctor’s office where patients can video chat with their physicians and schedule appointments online. Patients benefit by being able to see the doctor from home and doctors benefit from new revenue and more flexibility in their schedules. Doctors can charge for video conferencing sessions, phone calls…not so much. 1DocWay will hit the psychiatry market first because it doesn’t involve things like taking blood pressure or testing reflexes. And, according to Malik, it’s completely reimbursable through Medicare, Medicaid, United, BlueCross, Oxford and Aetna. The company has 3 contracts already set up and is in talks to integrate with a 10 billion dollar health system in New York City. In the fall, 1DocWay will open up to all mental health professionals, and in 2012, it will open to all clinicians. However, 1DocWay has competition on the horizon like Jay Parkinson’s HelloHealth as well as Skype. Although Malik says doctors complain about Skype being inefficient for scheduling appointments. I really dig this aspect of it. With Foodspotting, I find it awkward to pull out my phone at a fine dining restaurant, but I end up taking a lot of photos of the food I cook, because I’m most proud of it. KeepRecipes is a place where I can store those photos and share my creative recipes with others. The technology is based on clipping weblinks, snapping photos and communicating in realtime. Michaelson will monetize by driving sales to affiliates. So, being 100% focused on the recipe space right now means he’s going after the $7.5 billion annual food and cooking advertising market. Michaelson, a Harvard Business School graduate has just signed the company’s first deal with the Harvard Common Press. The team is raising a $500,000 seed round. LearnBop CEO and co-founder Bharanidharan Rajakumar met Managing Director Mark Wachen while he was a student at Carnegie Mellon University in Pittsburgh, PA. Wachen says Rajakumar “did all the right things with the right frequency” when applying to the program. The product is an education technology that enables experts to create educational content with hints and feedback messages that respond to student behaviors, as the experts themselves normally would. And it’s 90% less expensive to develop these kinds of one on one digital simulations than alternative solutions. So, increased learning gains and decreased costs? Some would call that a win-win. Current clients include Carnegie Mellon University and CUNY. While CMU is using the technology with students, CUNY will use it to train elementary math educators before they go into the field. Rajakumar says these technologies are the wave of the future. He plans on monetizing through 3 different revenue streams: licensing for the technology charging per student fees, revenue sharing agreement with publishers, and an advertising supported subsection of the content will be available for free. Re-Vinyl, a Los Angeles, California based startup is mobile publishing for the entertainment industry. Its platform connects musicians and related brands to their fans to increase fan engagement and revenue opportunities. Within this context, Re-Vinyl’s platform is for musicians and related brands to tell and sell their story on their terms and includes a toolkit where fans can collaboratively remix, respond, and purchase musical content. I came into DreamIt really early one day, like 7 AM, and the founder of DreamIt, Steve Welsch, was there with some potential partners all alone in the space. Hearing that really changed my way of thinking about the accelerator – it became a safe place to take risks and learn, collaborate and experiment rather than being afraid of failure, competition and theory before practice that I have been so accustomed to. The Los Angeles based startup allows you to export the artist’s vinyl logo out to your social networks so everyone knows you’ve bought the product and love it. The team plans on shaking up the entire music industry. Check out Re-Vinyl CEO Michael Morgan’s rap to investors here. The Re-Vinyl team with mentor Alex Taub of Aviary (with MJ’s Bad). Pandaly, from Philadlephia, PA bills itself as “the fun way to find deals.” Specifically, it’s a voting and gaming solution for demand-driven deals. The platform lets you earn points to unlock features and get more discounts, get deal recommendations based on your preferences and share with friends and see what others are buying. CEO Andrew Ward says the daily seal industry in early 2010 featured about 20 companies, and now there are over 600 just in the U.S. Ward projects that the daily deal market will be a $7 billion dollar industry by 2015. And while aggregator sites like 8Coupons, Yipit and Dealsurf help users deal with “daily deal fatigue” Pandaly will help users have fun too. “When we first got the idea for Pictour, we went out and bought a case of 36 beers and coded throughout the night. We got pretty drunk, but we got the first version of Pictour. The next morning we were like, ‘Look, we did all this.’ Probably the code was not very well because of the beer. But that was one of the greatest moments for us,” says CEO Alejandro Corpeño. Now Pictour aims for a better way to document travel. It’s primarily a mobile app for enjoying photo tours and secondly, a platform so you can consume the content on web, mobile and tablets. The web app is the authoring tool for the photo tours. A vintage weekend in Williamsburg, Brooklyn? Yes, please. Or how about a tour of all the Venture Capital firms in New York? Very intriguing. The Pictour team also applied to Y Combinator and i/o Ventures but was accepted into DreamIt specifically for its education product, because Startl was a partner for the program. Managing Partner Kerry Rupp says it’s absolutely fine that the team pivoted, because in the end what’s good for the company is all that matters. After the team was accepted, everyone had to quit their full-time jobs in Honduras and move to New York. They are currently in the process of figuring out visas with lawyers to be able to remain in The Big Apple. The team is raising a $350,000 seed round. After the demo presentations, you could feel the buzz in the air around TakeTheInterview‘s table. Investors whispered and fingers pointed towards Harvard Business School’s Danielle Weinblatt, CEO of the new cloud-based video interviewing platform for employers to more efficiently screen candidates. Weinblatt explains that an employer can login and create one interview for 50 candidates. Interview questions are emailed to all 50 candidates who will then use a webcam to record their answers and upload a video. The employer will have a dashboard interface to review all 50 responses without the hassle of scheduling individual times for interviews. If you’re a huge recruiting firm, it promises to be a huge time saver. The product will take the form of an embeddable button on the job posting site. One of DreamIt’s star mentors Tiger 21 co-founder Richard Lavin, worked with TakeTheInterview throughout the program. In less than 30 days since launch, TTI has about 80 companies participating in its beta, including Deloitte and Bausch + Lomb. TakeTheInterview is raising $750,000 and already has $500,000 committed. You’ll notice only 14 teams were mentioned above. The 15th, Prepfly (aka Admitly) didn’t present because they pivoted several times and have still not settled on a business model. “When we look at a team’s application we ask ourselves two important questions, ‘Can they accomplish a meaningful market milestone within a 3 month period? And can we make a meaningful difference for them? '” says Wachen. DreamIt Ventures has just accepted the teams for its Philadelphia class this fall, which presents to investors in December. It is the first fall program for DreamIt and because of the academic calendar, a fair share of students decided to drop out of school for it. One student even deferred his freshman year at Georgetown. “Ha, we aren’t going to be let on college campuses soon!” Wachen joked. The next New York City DreamIt Ventures program will begin accepting applications at the end of this year for its summer 2012 program.